So what a great moment for me ! , finally after a lot of longs months of working in my university i can say: THE MINT STREET IS BACK AGAIN AND FOR A LOT OF TIME ! , maybe are you asking yourself what's new about me , the blog and the outfits collaborations, why you should follow me again ? , i really have a big news for all of you because i want you to stay here again with me, the blog and the outfits are gonna be totally amazing this time, you really can't lose it, R&E valladolid new photoshoots, all new collaboration with the brand of sneakers Skate, all new outfits and the most important thing ... All new for me too because the mint street is going to Dublin,Ireland, and yeah, of course i go with it ! 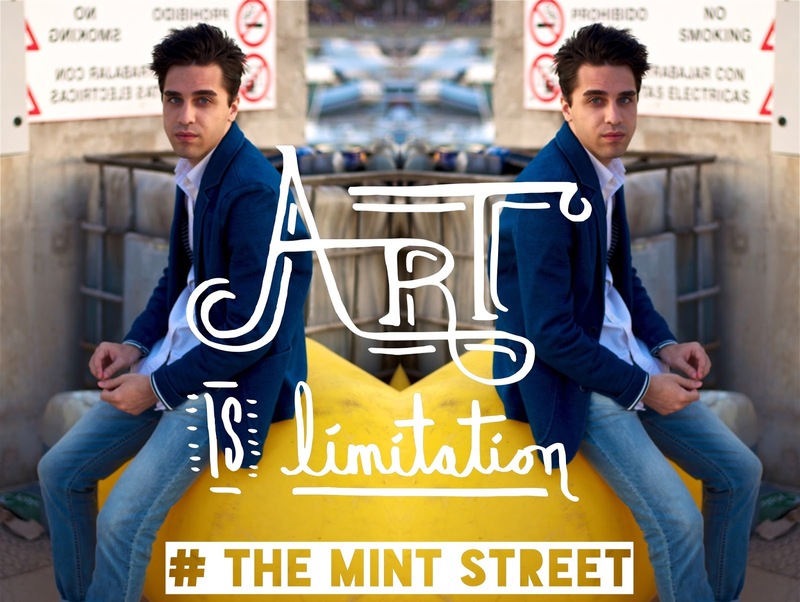 , don't miss this new experience and adventure for me, updates from instagram,twitter and blog .. talking about that, you have to follow the new twitter account @themintstreet !! don't miss any updates of my trip to Dublin, i'm going to stay there from 11th August to end of September with R&E Valladolid company working hand on hand in all new line of outfits , before this adventure starts you have to see a lot of new looks and the collaboration with Skater photographs among other many things. Your pictures reminded me why i loved this blog. I miss the beautiful sceneries. Definitely breathtaking and unforgettable =) i want to stay you too i miss the blog this is a really good new iago !!! Amazing new iago ! miss your pics and outfits remind my blog? there is nothing better, the photo is breathtaking! OMG, this is just incredible! Love it! You are just perfect! can't waoit to see more ! welcome again iago your blog is amazing. iago!! i really want to saty again with this new adventure, Dublin is going to be awesome for sure, really love your pics and outfits, amazing this new! This color suits you very much! Adorable hair! Muy buenas noticias si señor, ya vi enn el twitter oficial una foto de esa colaboracion que dices y la foto es espectacular, muy buena tengo ganas de ver el resto, animo y suerte en dublin tengo ganas de ver como avanza esta nueva etapa que bueno que volviste! loving these pics, they are so cool! no vas a esribir ya en español? aunque tengas muchos visitantes ingleses creo que tambien los tienes españoles, yo por ejemplo no se ingles y tengo que usar un traductor cuando perfectamente podias escribirlo en español tambien ..
ASOME GOOD NEWS TODAY THANKS TO COMING BACK!! Absolutely stunning!!! Hope you had a wonderful time! welcome back iago You look awsome! Great picture! Incredibly beautiful! The view & you! Very beautiful and sunny photos! That new is the most adorable little thing that happened to me today! weolcome back again iago i miss you check out my all news !